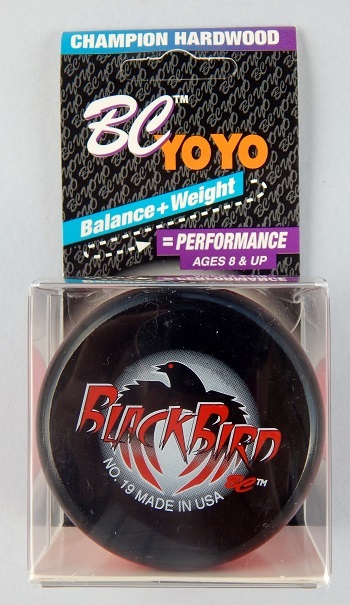 1999 version of the Blackbird. This model was no longer being made in the traditional imperial configuration like it was the past two versions. Instead, it took on a new blackbird logo in a butterfly configuration. Red yo with black air brushed on the outside face of each halve. Original retail price: $5 US.